Student chapter teams show-off their design-build skills to industry leaders. The National Design-Build Student Competition provides young design-builders the opportunity to create a project as a team, present it to some of the industry’s leading pros and earn national recognition for their good work. DBIA’s student competition provides an unparalleled opportunity for students to meet and impress design-build industry leaders one-on-one. We are now accepting 2019 Design-Build Student Competition Team Registrations. Get a head-start and register your team today. Each year a unique project is chosen to challenge our student design-build competitors. This year’s project is a Performing Arts Center on a college campus in the United States. The Design-Build Institute of America’s (DBIA) 2019 student competition closely mirrors best practices in design-build project delivery. The two-phase competition involves the collaboration of students from diverse backgrounds, including architecture and construction management, responding to a Request for Qualifications (RFQ) for a Performing Arts Center on a college campus in the United States. Finalists from the Regional judging will then respond to a Request for Proposal (RFP) and the top three short-listed teams will present in person at DBIA’s annual conference in Las Vegas. Each year, the DBIA Student Competition committee defines unique project details for that year’s competition. Proposed project is anticipated to be between 40,000 and 60,000 square footage. Anticipated Fixed Limit of Project Cost is between $24,000,000 and $26,000,000. Three potential sites have been identified for the facility. Final Building Program is scheduled to be complete by June 2019. Issue RFQ September 11, 2019. Program and Maximum Cost of Construction will be included in the RFQ. RFP to shortlisted firms will be issued October 3, 2019. Design-Build Team specifics – integrated firm or design and construction firms forming a JV, teaming alliance, etc. The scoring criteria will be included with the RFQ. Teams competing first at the regional level will be asked to prepare a Request for Qualifications (RFQ). The RFQ response provides the team experience in responding to a typical industry RFQ while identifying the team’s overall understanding of the design-build process. 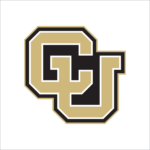 The RFQ is specifically written to address a project on a college campus that is not a real campus project but utilizes typical industry approaches to RFQs. Design-Build Team specifics — integrated firm or design and construction firms forming a JV, teaming alliance, etc. The scoring criteria will be included with the RFQ. This is a summary of the RFQ expectations. All teams should download the full RFQ rules below. There will be nine (9) first-place Regional winners. Complimentary registration will be awarded to each team (faculty advisor and students) for the National DBIA Design-Build Conference & Expo in November. Faculty sponsor and team will receive a minimum of $1,500 from their Region to assist in making their own round-trip plane, rental car and hotel reservations. All teams are expected that if chosen as the winner for their Region, they will attend the annual conference. The $1,500 is ONLY to be used for travel and expenses for team to attend the DBIA conference. The competition is not a design competition, scheduling competition, estimating competition or a construction competition. All of these components will be important in the response to the RFP, specifically Design Excellence, but the competition is to test the team’s ability to look at the problem globally and respond to the whole process, not just one area. These are critical in an industry RFP response and the judges will look for how teams approach each one of these areas and combine them in developing your program response. The logical process and consistency utilized in your design to address the program functional requirements, while providing an aesthetically appealing structure, structure constructability, design and construction schedule, overall design and construction management, and overall cost is important. This is a summary of the RFP expectations. All teams should download the full RFQ rules below. The top three highest scoring teams will present in-person at the Design-Build Conference & Expo in November before the National Jury. The top three teams will have three rooms (each) reserved for them at the conference hotel and receive $3,000 for travel and lodging expenses. DBIA will provide complimentary registration to each team and faculty advisor. 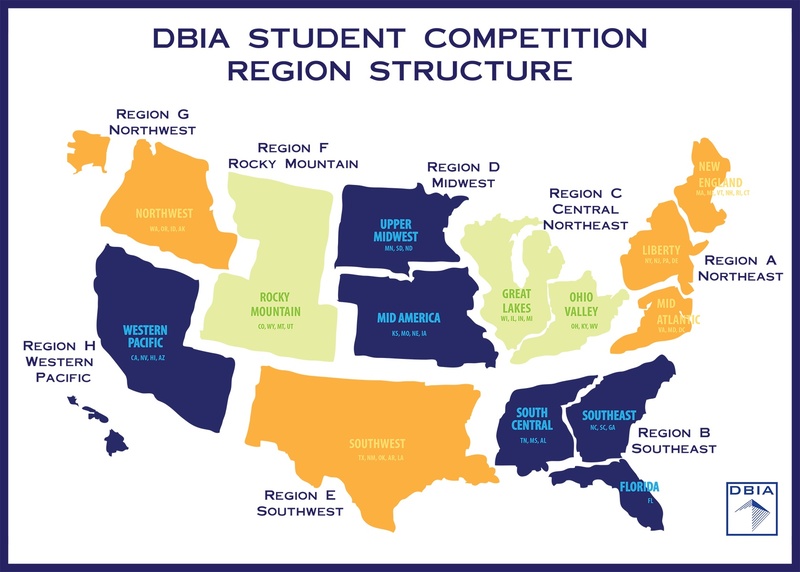 Teams participating in Phase One – Request for Qualifications (RFQ) of the DBIA Student Competition will compete in one of nine geographic regions. Nine first-place winners in the Phase One (RFQ) Regional competition will move on to Phase Two of the national competition and receive a Request for Proposals (RFP). "As a student, you don't get a lot of chances to talk to the higher-ups within an organization. If you do well, they seek you out and want to get to know you. I think being in the top three allows you the reverse of normal students. Rather than you trying to seek out a job, people seek you out to offer you a job. We had at least one person say, ‘If you want a job, you have one with Company X.’"
"DBIA's Student Competition was a learning experience of a lifetime—it provided 'real world' challenges that made us stronger and prepared for future success." "This is a national professional organization that supports students in the competition; it’s as real-life as they can get and we can’t wait to enter next year!" Join the growing number of students who’ve already made their mark in the design-build industry by becoming a DBIA member. Special student rates make it the best investment you can make in your future as a design-builder.